Conversion of existing flour mill to multipurpose contemporary arts centre, Gateshead. 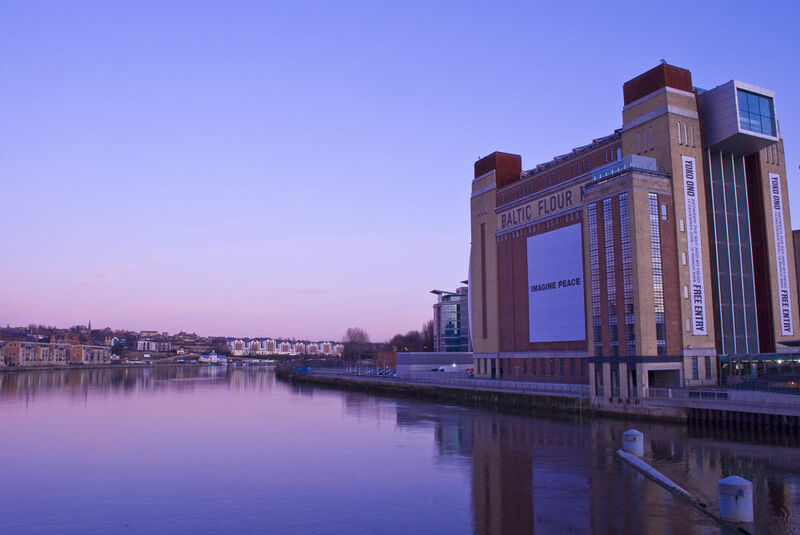 The new gallery is formed inside the original skin for the Baltic Flour Mill in Gateshead. The building was originally constructed as a series of reinforced concrete cells or shafts, which provided a very difficult problem to resolve. The concrete cores provided the structural stability to the building whilst acting as flour silos. These cores would eventually be removed to make way for the new gallery floors. The solution was to stabilize the external skin of the main building by use of a temporary space frame wrapping around it. The concrete was then removed section by section until the building was completely hollowed out. At this point with three months between completion of demolition and beginning the new construction the artist Anish Kapoor created the installation Taratantara which was tensioned around the large openings of the two end walls. 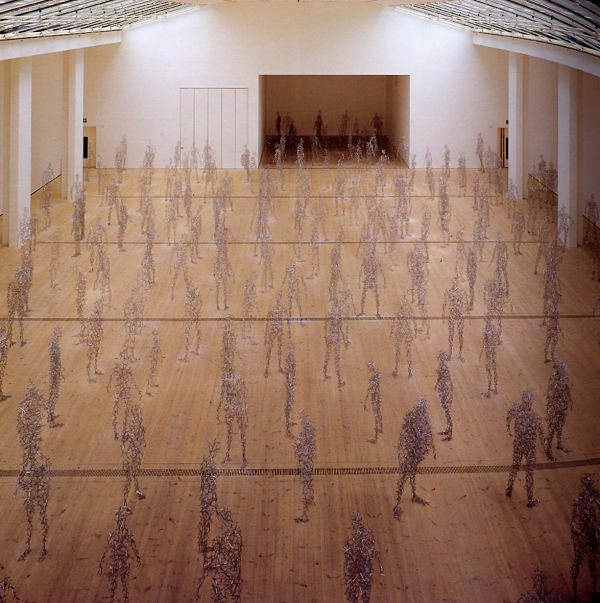 Once again this structure utilized the combined stiffness of the shell of the building and the temporary exo skeleton. Early in the design the four corner towers were proposed for vertical circulation thus the internal volume was entirely given over to exhibition. With foundations existing beneath the perimeter walls large columns were inset from the perimeter providing a large single internal space with a perimeter arcade. This arcade provided access for all services and the beams spanning side to side were reduced to a minimum at the perimeter to facilitate the passage of services. By the columns with shear walls internally the new internal structure connected back and provided stability to the original façade. The roof top restaurant is then supported inside a stiff space frame sitting on top of the columns extending out to roof level of the original building.